Have you ever quickly looked at a children's book, thought to yourself, "this looks like a winner," then upon purchasing it and reading it, realized it was actually a dud? I have, which is why I look forward to the announcement of the Caldecott Medal winners each year. I love looking at the medal winner lists because I always find books that I want to add to our collection and this year was no exception. Here is the remarkable true story of the bear who inspired Winnie-the Pooh. 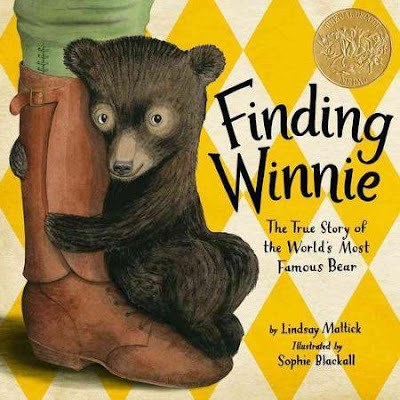 Finding Winnie is currently on its way to our house because the story sounds just as fabulous as the illustrations. And bonus, right now on Amazon it is available for almost 50% off the list price. 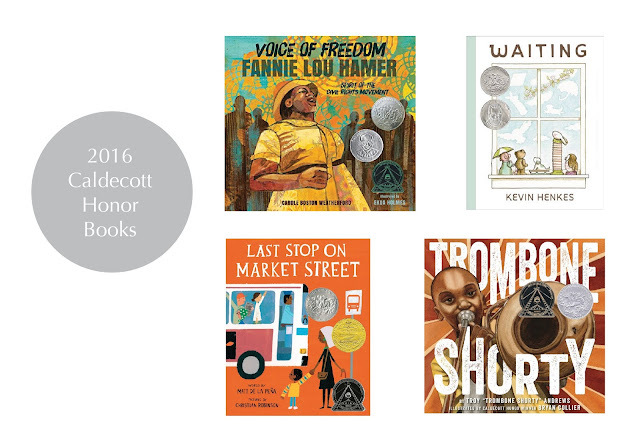 Do any of you already have these Caldecott books in your home libraries? If so, which ones are your favorites? p.s. This is a fun post from Peter Brown about the phone call he got telling him his book Creepy Carrots won a Caldecott Honor.